﻿ Mu Jiao Xi Hotel, Yilan | FROM $202 - SAVE ON AGODA! "I love the layout of their room, which is one of the best in..."
"Overall, the stay was great." "I will recommend friends to stay there." 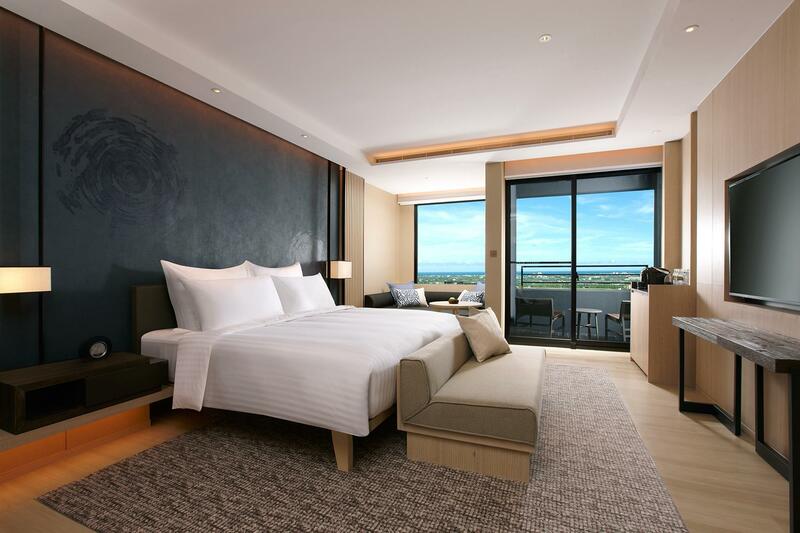 "Love the view from the room, near the mountain, and the in-r..."
Located in the Jiaoxi Township area, Mu Jiao Xi Hotel is the ideal point of departure for your excursions in Yilan. Only away, this 5-star property can be easily accessed from the airport. With its convenient location, the property offers easy access to the city's must-see destinations. Every effort is made to make guests feel comfortable. To do so, the property provides the best in services and amenities. For the comfort and convenience of guests, the property offers free Wi-Fi in all rooms, 24-hour security, grocery deliveries, taxi service, 24-hour front desk. 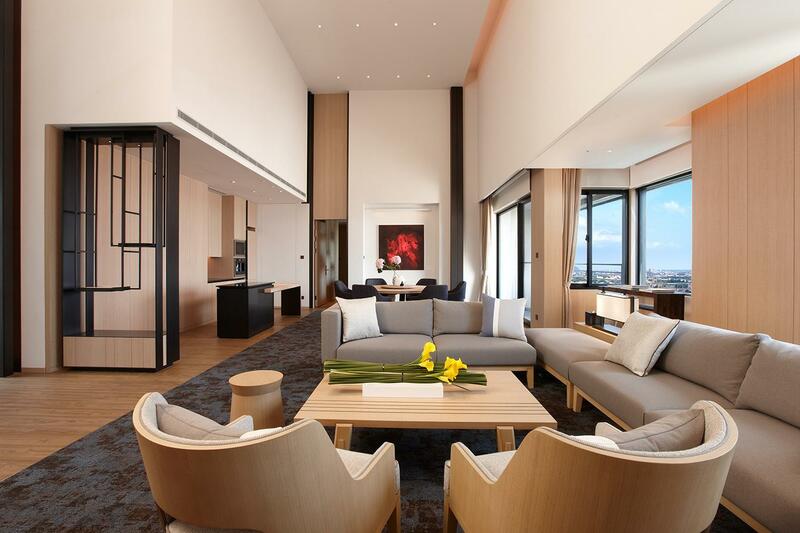 190 rooms spread over floors provide a warm and pleasant home away from home. 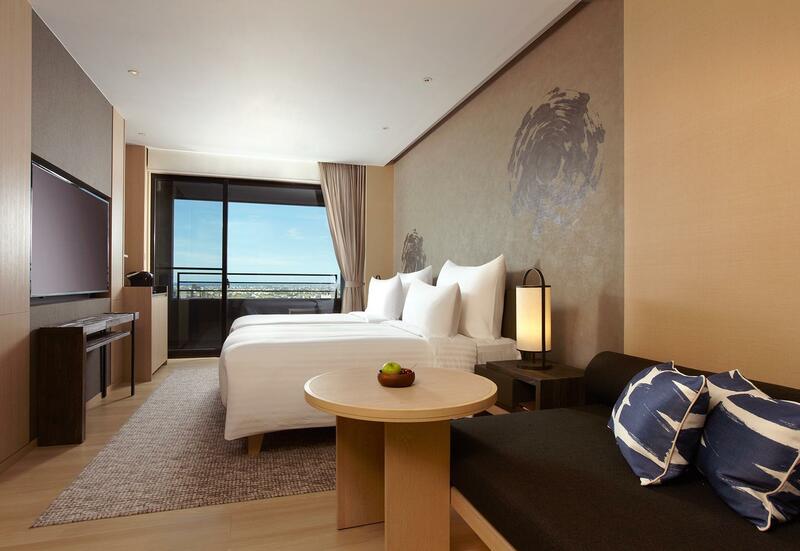 Comforts such as flat screen television, clothes rack, dressing room, locker, slippers can be found in selected rooms. Whether you're a fitness enthusiast or are just looking for a way to unwind after a hard day, you will be entertained by recreational facilities such as fitness center, hot spring bath, outdoor pool, kids club. 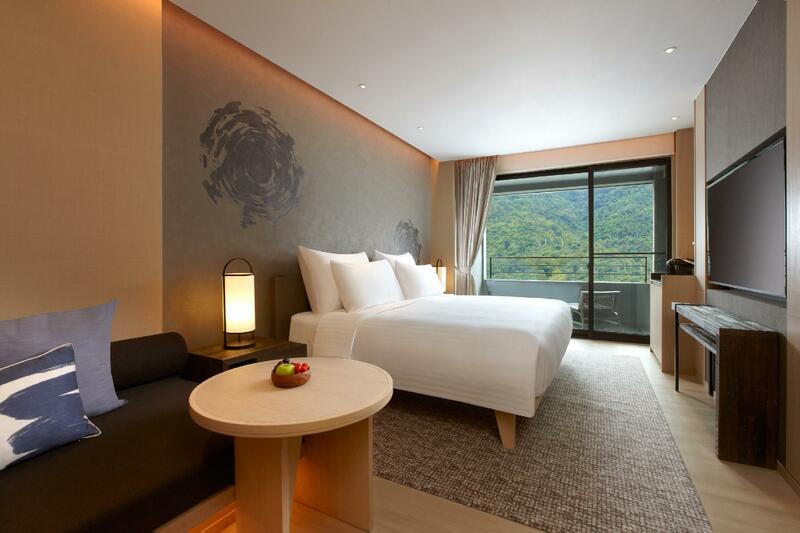 With an ideal location and facilities to match, Mu Jiao Xi Hotel hits the spot in many ways. "The room is simple and comfortable, spring water tub is real..."
Hotel room is very large and clean with a big hot spring tub. Nice Breakfast and facilities. Everything is new and the service is good! Best thing is the playroom for younger kids and video game room for elder kids. The breakfast is significant, with many choices of fresh food, a lot of veggies, but only 3 kinds of fruit is a little disappointed. The room is simple and comfortable, spring water tub is really nice. Double bed is quite small according to it’s price, hardly sleep well with one of my kid. The downy quilt is really too hot to use now, we turned A/c to very low temperature but still not comfortable. Great location, friendly staff. But feel it doesn’t worth the price. Very nice experience staying there for one night. Staff were extremely helpful and friendly. Facility is clean and new. I felt very welcome and I was very happy to spend my time there for my birthday. Thank you. Food is delicious and staff are helping. failed to offer porter service when they saw us checking in with a young child Only 2 toothbrushs when we have 4 adults. Watch out room 907, Day bed and sofa are quite dirty with loads of unidentified stains for an over rated five start hotel. Unlikely to stay in this hotel again. two nights before we stayed in the hotel, I found out that the one I reserved was two single bed and it cannot combine into one large bed. So I called the hotel, the manager 童 helped me a lot and provided very good suggestion. He was very patient and helpful. Finally, I called Agoda customer service and switched to the room I preferred. Me, my husband and kids enjoyed the good services and facilities of the hotel a lot. We really appreciate the good services of the hotel staff especially manager Mt. 童. Decent property but not so well trained staff. Conducted electrical circuit tests without informing in house guests. Shocked me when the room went black out. Did call me to apologize later on. Did not need that if communications were done properly. Overall, the stay was great. Oh and they provide shuttle service to and fro Taipei at very reasonable rates. I will go back soon. I love the layout of their room, which is one of the best in my 30 years travelling experince. They supply good quality and big brand of facilities, including coffee maker , hair dryer, free sandals. I will recommend friends to stay there. I stayed with my family for 2 nights there, the hotel itself is beautiful and all the artworks are amazing.. very happy with the environment. However, the first night when we wanted to use the darts machine at the lobby bar, the duty manager called to apologize as there were a group of guests booked the bar area and they had paid thousands so the bar area was exclusive to those "paid a lot" guests. I was okay as they ended up managing to get us to use the bar as the group moved to other place but the duty manager really doesn't need to advise me with how much they paid to get the place. It just sounds like .. they pay more so you better shut up, even the lobby bar is a public place and it meant to be opened for all the guests no matter how much they spend. Another thing is, we were so interested to dine at the Chinese restaurant in the hotel as the advertisement was playing and playing on tv to promote the new menu. But when we arrived at the restaurant, there was an event so the restaurant was closed to other guests. As a hotel's restaurant, it should always keep some tables for in-house guests. Otherwise, don't say it's a "restaurant" and don't do the advertisement to lure the guests then say nope, we only open for big groups. Other than these 2 issues, we were okay with the stay. We stayed with 3 other families and this is the best and fun experience we had in JiaoXi, we stayed at other five stars hotel before but Mu has everything and the most important is that it is such a kid friendly hotel that also uncles the best art gallery for adults to enjoy! Foods are good too! I like the overall design of the hotel.interiors. Very modern, serene. Good quality furniture and bedding. Nicely located. The only part I don’t like is hotel guests having breakfast or late night snacks wearing the robes and thongs supplied by the hotel. This is our second time here. Our little boys were happy, being treated well with a nice playground, interesting DIY and very nice place to have breakfast. We will visit here again. The room is big and quiet. And the location is so nice could just walk around.